Another month for our “Three minute Q and A with TLC nannies.” Each month we are bringing you some great Q and A with our nannies so they can share some info and insight about the nanny profession and educate others on some of the fun aspects of the job. This month we interviewed Maria. 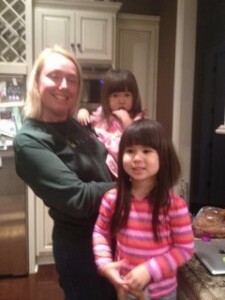 Maria is one of the temporary nannies on our babysitting staff. 1) Why did you apply with TLC? I was working as a substitute teacher in St. Charles County and there was a huge influx of retired teachers that entered the substitute teacher pool. My income was affected by this sudden change in the market. My sister was using TLC when family members could not help her and she suggested that I look into getting on board. My sister seemed very happy with the babysitters that had come to her assistance and I decided to apply. 2) What do like best about working with children and families? I love challenging children to use their imaginations and to pretend play. I took a course on “How We Learn” and pretend play is the best way to hone learning, problem solving, communication and creative skills. 3) What is your long-term career goal? When I am not babysitting, I am a touring actress for my own children’s theater company as well a touring actress for a murder mystery dinner theater company. I am living my dream come true. Working for TLC, keeps me grounded in reality and allows me to encourage others to pursue their dreams. 4) What is your go to ice breaker when you are meeting a new child? I try to make sure that I know the child’s interests going in. I bring up early upon first meeting that I have brought something that is in line with the child’s interest. I also include them in the conversation early on. 5) Do you a favorite organization or person you follow on Social Media that is childcare related? No specific entity. I work with Children’s Librarians throughout the Midwest, since they are a major client of my children’s theater company and we are constantly swapping ideas. 1. Write up a list with the kids of all the things she does that you are thankful for. 2. Make a home made gift. You can use ideas from Pinterest. 3. Have the kids surprise your nanny with breakfast when she arrives. Or, give a live-in nanny breakfast in bed. 4. Sponsor her a membership to the International Nanny Association. 5. Create a family video letting her know how much she was appreciate her. You can sing a song, read a story or do a family skit. Share the video on social media! 6. Buy her tickets to see her favorite sports team, concert or musical. 7. Take a picture of her and the kids and give it to her in a nice frame. 8. Treat her to a new purse so she can carry around all the things she needs to take care of the kids. 9. Send her a bouquet, either from a flower company or Edible arrangements. 10. Give her a special bonus or gift card. The school year has started. And, when kids go to school they start sharing germs! Chances are sometime this school year your kids will have sore throats, runny noses, fevers, or the flu and will need to stay home. It is not easy for working parents to stay home from work when their child is sick. In fact, A 2012 study by C.S. Mott Children’s Hospital found that 50% of today’s work force is worried about finding sick child care. TLC for Kids is here to help! TLC temporary caregivers are available to take care of sick kids who can’t go to school or daycare. If your school or daycare calls during the day and your child needs to come home let us know. We can try to send someone over within a few hours. If you need help after hours our Emergency Service Coordinators Sarah and Debbie are available until 9:45 pm Sunday through Thursday and start working again at 6:30 am Monday through Friday. All TLC for Kids caregivers have experience working with children and have been screened by our professional staff. Register with TLC at tlcforkids.com or call 314-725-5660 for the St. Louis, Mo. office and 305-256-5905 for the Florida office. Are you looking to hire a nanny? TLC for Kids has full time and part time nannies available in St. Louis, Mo. and Florida! Through our extensive screening and hiring process, we always have access to a pool of highly qualified, skilled, and trained caregivers for all of your needs. 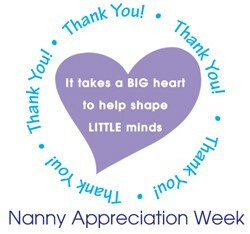 Just complete these simple steps, and you’ll be matched up with your perfect nanny in no time! Complete our TLC Parent Application Form and Services Agreement – and pay your search fee. Please fill out the form in as much detail as possible! Talk to a TLC staff member about your application, what you’re looking for, and the procedures in place to help you get what you need. We will also provide you with the necessary paperwork to become a household employer, as well as guidance for creating and maintaining a positive relationship with your nanny. Interview nanny candidates. We will work with you to schedule interviews in your home, and will provide suggested interview questions. Remember, we also screen all candidates through in-person interviews, reference checks, background checks, and more. Our expert placement counselors only connect you with candidates who fulfill your requirements and qualifications. Make an offer and negotiate salary and benefits – again, with our guidance along the way! Complete remaining paperwork such as an “intent to hire” form and a Nanny Employment Agreement, and submit a Placement Fee to secure your nanny’s position. Remember, this process takes between 2 and 6 weeks, and you are under no obligation to hire any caregiver we send you. You should also know that once you hire a nanny, the first 10 weeks (two weeks during summertime) are considered a probationary period. If you or your new nanny are not satisfied with the match, TLC will start a new search at no additional fee. It really is that simple! Learn more and start the process at this page, and contact us with any questions!